Former Minister of finance Tendai Biti says today's Monetary Policy Statement should devalue the Bondnotes and strengthen the multi currency regime that was introduces in 2009. Reserve Bank of Zimbabwe Governor John Panonetsa Mangudya is expected to deliver the much awaited policy statement at 2PM today. Said Biti, "Today's Monetary Policy will lack the thunder of a new currency after we caught them with their pants down.b A decent Monetary Policy should however 1) demonetize the bond note 2) ring fence RTGS balances 3) strengthen multi currency regime 4) remove export retention 5)stop quasi fiscals." Biti further said RBZ must not focus only on liberalizing the exchange rate but must eject the Bondnotes completely. "Liberalizing or floating exchange rate is dealing with symptoms. Bond note should simply be ejected. Besides bond note and it's fictional parity is set as law in the RBZ Act so only Parliament can float or liberalize exchange rate. "Liberalizing or #loating exchange without ring fencing RTGS balances will have the disastrous consequences of devaluing people s balances . Floodgates of litigation will open. The RBZ will be held to account after maintaining and defending the fiction of a bond , US $ parity. "Further floating exchange rate & retention of the bond note will guarantee the continued existence of a key pillar of corruption in this economy. ZANU elites will continue raiding the RBZ for cheap foreign exchange which they will arbitrage." 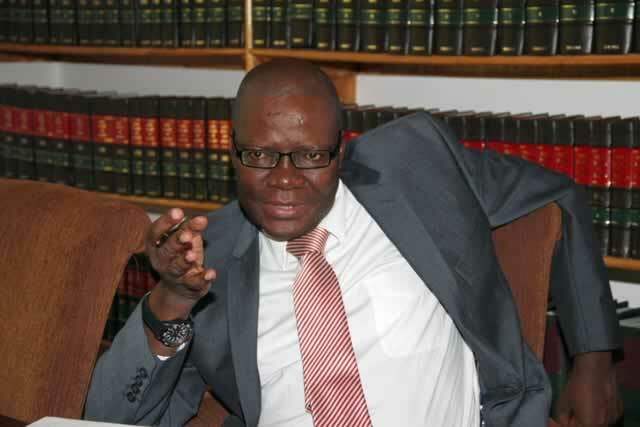 Biti believes that the solution to Zimbabwe's economic wos is political rather than economic. "The truth of the matter is that no amount of economic tinkering can resolve the huge structural challenges Zimbabwe is facing .The crises is political. It's a crisis of legitimacy and governance No one can govern without the consent of the people .Illegitimacy breeds illegitimacy."